Darren Bent scored on his Brighton debut but it was not enough to prevent the Seagulls slipping to a 2-1 defeat at home to fellow Championship strugglers Fulham. Defeat for the home side was compounded by the last-minute dismissal of Adrian Colunga as Sami Hyypia's Brighton slipped into the bottom three in the table. The Seagulls had a let-off shortly after the interval when Ross McCormack got the better of Dunk, but Rodallega wastefully put the ball wide from a good position. But the Seagulls could only hold on to their lead for 10 minutes as Rodallega levelled with a clinical finish, firing home first time into the top of the net after a pass by Christensen. Brighton were fortunate not to have gone behind soon after when Bryan Ruiz headed a great chance wide at the far post. 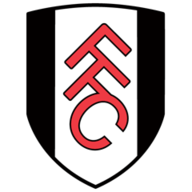 And Fulham, who were increasing in confidence, threatened again through a free-kick from McCormack which was flicked over the bar by Dunk.